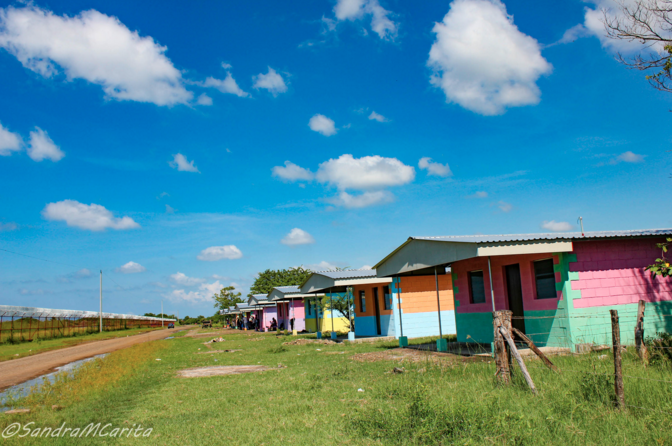 At Brisas del Mar we believe in supporting community infrastructure projects in Jiquilillo and surrounding areas. Our hotel is the perfect launch pad to get involved in an ongoing project. 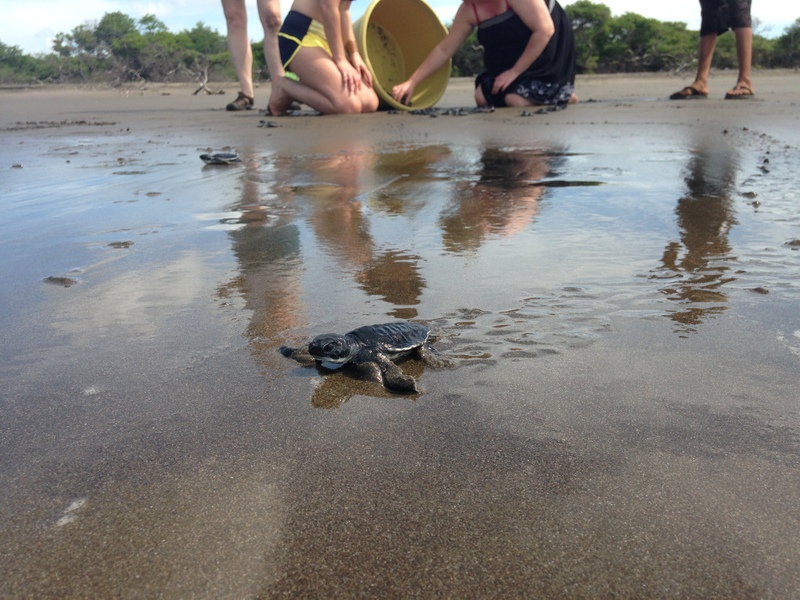 From our sea turtle hatchery and the English Language Center to the Villa Nueva Esperanza and the El Limonel community, there is something for everyone. Interested in fundraising and bringing your own group to Brisas del Mar? Contact us directly to discuss what would be best suited for your group. All of the projects we support would not be possible without the continued support of many charitable organizations, GIVE, Colour My World, Rotary International and the Together Works Society to name a few. We respectfully request that any guests wishing to participate in any of the local infrastructure projects show their support and commitment to these projects through a minimum donation of $50.00 USD/person except where a specific donation is indicated. Gerry conceptualized a sustainable bricks and mortar housing project in the village of Jiquilillo. Many villagers live near the ocean where their homes are under constant threat from high tides. Villa Esperanza was created as a solution to the crisis. So far at least 37 permanent homes have been built through foreign donations and government support. Volunteers can be involved in the construction process through fundraising and labour. Prospective residents, who may not normally be able to afford a home, contribute to the project through sweat equity creating a culture of ownership and pride. In 1998 the torrential rains and resulting landslides of Hurricane Mitch ravaged Northern Nicaragua leaving thousands without homes. Many of these displaced people erected a shanty community on the edge of the Chinandega Dump. In the years following this community has established a permanence that has most of the families relying on the dump as a source of income. Residents of El Limonel scavenge for metals and recyclables in the dump. A normal income for a dump worker is $1 per a day. 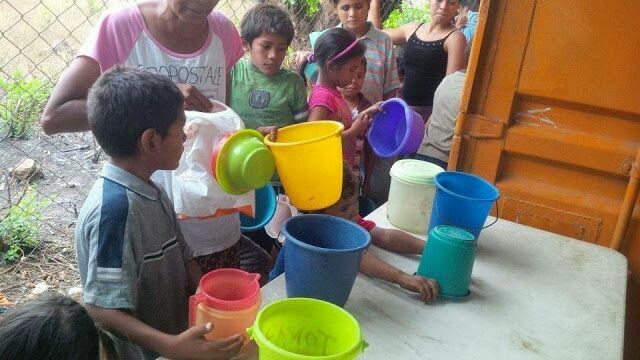 Many of the children of El Limonel lack essential nutritional requirements. 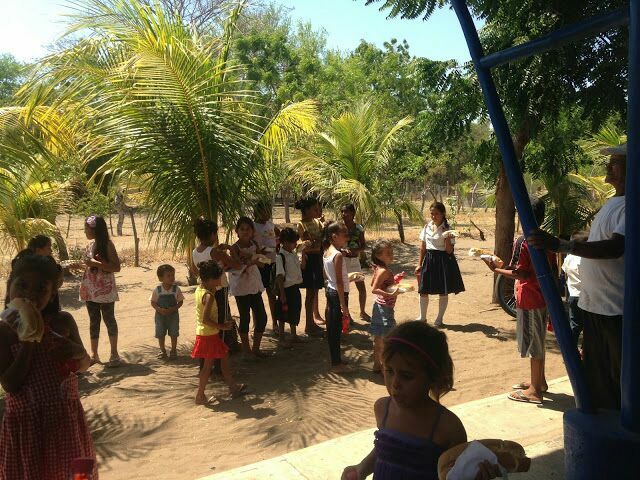 Guests at Brisas del Mar have the opportunity to travel to El Limonel and make a nutritional well balanced lunch for approximately 300 kids. As you interact with the children and adults of the community it quickly becomes evident that this is a thriving and vibrant place. a. Sponsor, prepare and serve a nutritious lunch for up to 300 children. b. Program fee: $250 Includes return transportation by private van for up to 10 persons, cost of gas, cost of food. The tropical climate, although desirable, is hard on structures. The elementary schools are in constant need of maintenance. When needed guests can be involved in painting and general repairs of the facilities. Volunteers can also visit the schools and provide a hot lunch for the school kids. Guests can purchase and donate uniforms to children in need. The highlight of many visitors to Jiquilillo is volunteering at the English language school. It operates twice daily in the morning and late afternoon. Volunteering at the school is where long lasting friendships are forged. Volunteers will see an evolution of discovery and learning during their short stay in Jiquilillo. Many species of threatened and critically endangered sea turtles use the Padre Ramos Estuary as a natural nesting ground. An extremely low percentage make the trek from nest to maturity successfully. Our sea turtle hatchery was established to increase the turtle’s odds. Eggs are incubated and when hatched the sea turtles are released directly into the ocean or estuary. This small step removes a huge risk factor from nest to sea where many are taken by birds. The conservancy also educates and provides alternatives to local villagers who have historically seen the eggs as a food source. 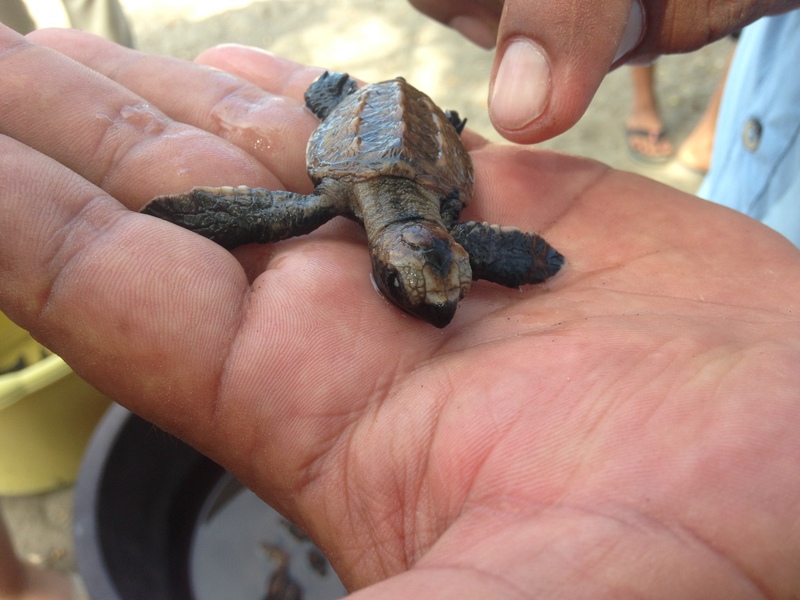 Volunteers can take a panga boat through the estuary to the hatchery and release the turtles to the ocean. Guests can also sponsor nests to offset some of the costs of the conservancy. 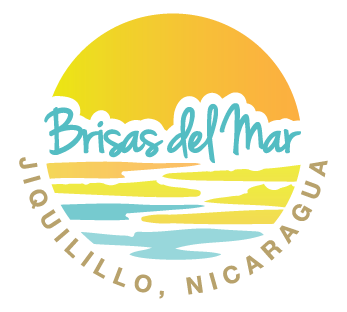 Brisas del Mar is an ideal place for volunteer groups to establish a base for their humanitarian efforts. 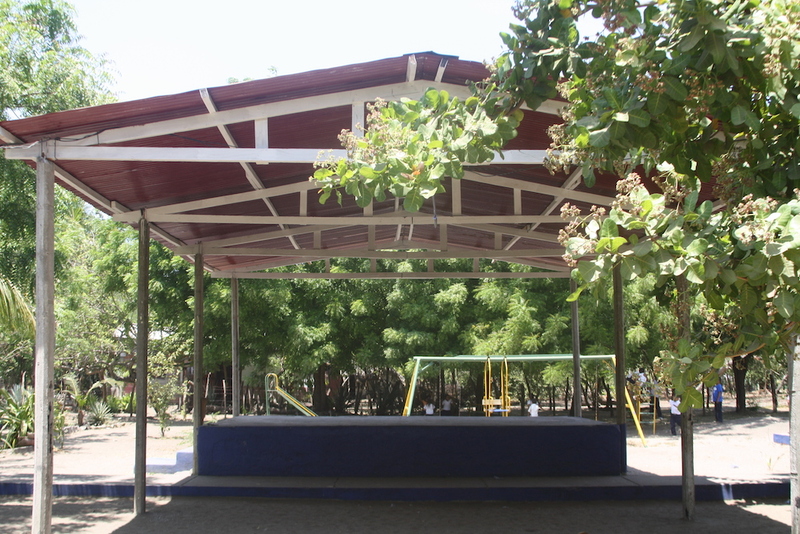 Emergency services, veterinary, sporting, school, service clubs and medical groups have frequented the area to improve training, education and the infrastructure of Jiquilillo and the Department of Chinandega. Ongoing projects are seasonal and subject to availability. If you have an idea for volunteer work, contact us.